Health is like money. We never have a true idea of its value until we lose it. If you have your health, look after it and do whatever you can to keep it. Once it’s gone or has been damaged, it can be almost impossible to get it back to the same level you experienced previously. If the day comes that you have to start thinking about your health in terms of how to try and get it back, you might find that so many avenues are already closed. At that point you’ll wish more than anything you hadn’t made some of your previous lifestyle decisions. Many of us have all the right intentions, but we somehow never manage to put health and wellbeing at the top of our ‘to do’ list and translate it into meaningful action. So, here are my four pillars to help you develop a health and wellbeing strategy, either for yourself personally or for your people. Mindfulness is the human ability to be fully present, aware of where we are and what we’re doing, and not be overly reactive or overwhelmed by what’s going on around us. 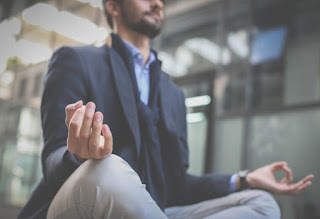 While mindfulness is innate, it can be cultivated through proven techniques; short pauses we insert into everyday life and merging meditation practice with other activities, such as yoga or sports. Think of chronic stress affecting the brain in a similar way to how simultaneously running too many programmes on your computer can impact its performance. Our brains are our computers and can become overloaded! Pausing and taking a few mindful breaths, focuses us on a short single task to clear our mind allowing us to refocus, make better decisions and “re-boot”. When we’re mindful, we reduce stress, enhance performance, gain insight and awareness through observing our own mind, and increase our attention to others’ wellbeing. Being physically active is good for our bodies. The key to success is to make your fitness programme a fixed part of your lifestyle, not merely an “optional extra” which can be easily swapped or dropped. Fitness is a lot like most things: consistency and common sense rule the day. You can go all out for the extremes now and then, such as training for a super marathon or getting ready for a tournament, but generally, your body will respond optimally if you train consistently, on a regular schedule, with a view to achieving marginal gains that lead to excellent health over time. Your physical wellbeing and mental wellbeing are closely linked, so physical activity can be very beneficial for your mental health and overall wellbeing too. The saying goes, you are what you eat. If you eat unhealthily, you cannot expect good health to follow. If you eat well however, good health becomes a much more likely outcome. Fast paced living does not equal junk food, eating on the go or missing meals. You have an obligation to yourself and, if you’re a parent, to your children to create a healthy and balanced diet which includes a daily mix of fresh fruit and vegetables, a mix of carbohydrates, fats and proteins. The discipline though is to stick to it until it becomes habitual and the default mode for how you naturally eat and fuel your body. Make sure you structure some downtime into your life. It’s good to be focused and driven, and to push yourself to excel … but it’s also good to just do nothing. Being busy all the time is not sustainable. In fact, it’s a perfect recipe for burnout, and burnout isn’t just a metaphorical thing. If you’ve ever experienced it or witnessed anyone else hit the proverbial brick wall, it’s very real and it’s incredibly difficult to recover from. To me, there are two ways to unwind: there is rest, and there is relaxation, and the two aren’t entirely the same. Rest is defined as an instance of resting, where work or movement is ceased in order to sleep or recover strength. We rest when we are tired and when we go to sleep at night. Sleep and rest refresh our mind and repairs our body. Most adults require between seven to eight hours of sleep each night. Without sufficient sleep, our bodies suffer a variety of physical and psychological impacts. Relaxation on the other hand is the act of relaxing and can be defined as the release of tension and the refreshment of the mind or body. Relaxation differs from rest, in that relaxation is our mind’s way of rejuvenating and ridding itself of stress. While rest occurs while we are asleep, relaxation occurs while we are awake, and involves us engaging in activities that we enjoy. Relaxing has been shown to improve our mood and cognitive functions, such as decision-making and memory, and it lowers the risk for depression, anxiety, and other heart-related issues. Remember, to give your best, you have to be at your best. If you do not look after yourself, who’s going to do it for you?